Create your profile on SME and post your first event in the Marketplace. Our team will review it and publish it upon approval. When a sponsor discovers your event, they can connect with you directly though the platform. From there, you can discuss the event and sponsorship offerings. If the sponsor chooses to purchase a sponsorship, the transaction happens within the platform so both parties are protected. Sign up for a free account on SME. There’s no cost to post your event. Fill out your event’s profile and craft its digital prospectus to attract sponsors. Include event dates, pricing for sponsorship offerings and an overview of the event, its attendees and what sponsors can expect. Our team will review your posting before it goes live. The Marketplace platform also functions as your sponsorship management platform. 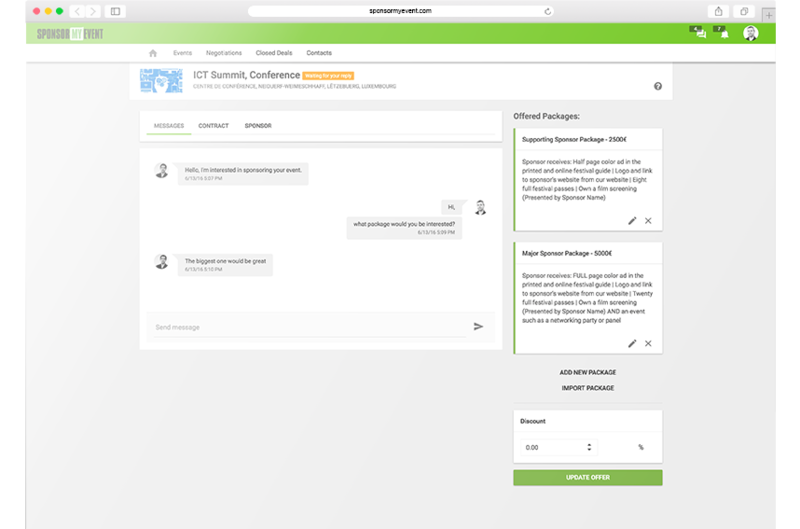 Manage discussions with prospective and contracted sponsors thanks to our in-app messaging system. 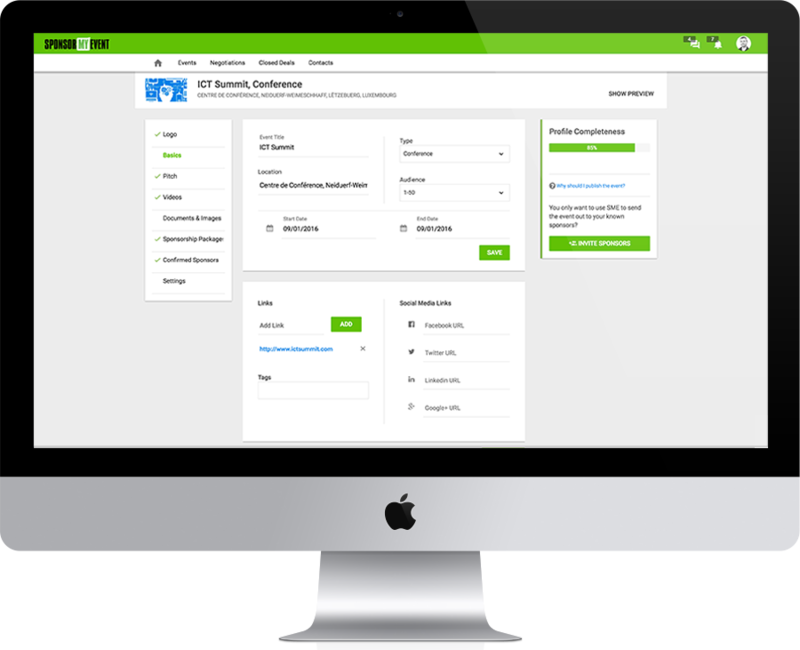 And, you can share contracts, invoices, receive files and payment all within the platform. It costs nothing to register and post events in the SponsorMyEvent Marketplace. When you successfully sell a sponsorship, the secure transaction happens within the platform and both parties are protected. We deduct a 15% platform fee from the transaction.